The look you give the barista when they put ‘Martha’ on your cups. Why do I always have to fly you around? Can´t afford a car? You cheated on me with Kevin Sorbo?…I want a divorce! did you have Italian for lunch? is it just me, or did Falkor just pass us? Double ‘thumbs-up’ on this one. can you drop me off in Sydney? sh, this is my favorite one of your captions ever! Lois, do you think we can convince the WB to give us a fifth season? If I had a dollar for every time I had to save you. Staring contest. First one blinks, loses. It’s true. They’re real, and they’re spectacular!!! ^ Please award this man the tidy sum of $1 million. Lois: Return my luv, I want you always bee-side me. Together: …for my love is yoooouuuurs! L: i think i swallowed a bug! Please, Clark, we’ve been flying in circles for hours. Just land and ask for directions! Clark, when I sang “Fly Me to the Moon” to you, I didn’t mean it literally! man, now that song is totally stuck in my head! S: You weigh a little more than 108. Lois, could you sing “A whole new world” to me? People say I look like a young Ron Rivera. Do you see it Lois? So I go to Princeton and then it turns out I can fly and I’m invincible. Boy did I waste money. Superman: Hold on Lois, by the end of season 2 you’ll figure out I’m Clark. Lois: We already knew. We just pretended we didn’t so you wouldn’t feel bad. wouldn’t you be more comfortable on my back? I’m gonna get you a parachute for next time Lois. Here at the Lex Luhor school for skydiving, we guarantee you’ll be saved by Superman with our no parachute guarantee. Sorry, I don’t have an app yet. Lois: I thought your hair would be waving around more? When Lois and Clark want Chinese food they don’t go around the corner, they go to China. Reaching the top of Mount Everest the easy way. Scientist are baffled about the fact that Lois is still able to move and breath at a height of a few thousand feet. A look of love… or the moment Lois and Superman realize her watch is caught in his hair. Sadly, ‘Adam & Julia, the New Adventures of Opera-Man’ was cancelled after only six episodes. One day Lois, they’re going to make a movie about me! Lois: Have you ever considered using a leather design or cgi for your cape? Superman: No Lois. I prefer cloth. Of all the things I’m impervious too, I’m so afraid of spiders. Lois: Thanks for saving me Starman. Superman: My name is Superman, Lois. Lois: I’m sorry Green Lantern. Superman: No I’m Superman, and I’m not green. Superman: Lois do you see bat ears and a bat symbol on my chest? 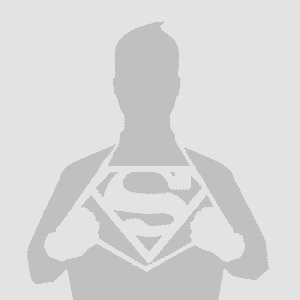 Superman: Ok, what letter is on my chest? Superman: Good, now we are getting somewhere. So who am I? Lois: I can see my house from here. Superman: I can see your house from here. Lois: Five for fighting? Really? Supes: You weigh a little more than a hundred and eight.